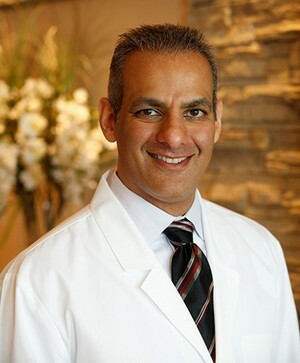 Dr. Rahim Karmali created Lowry Endodontics to offer world-class care to his patients. His compassionate approach to diagnosing and treating oral pain has earned him global recognition amongst leaders in the field. Dr. Karmali is sought after by patients for his conservative and innovative approach to managing pain. His practice is focused on understanding before treating. It is focused on trying conservative approaches before aggressive ones. He has gained the reputation of predictably saving teeth that would otherwise require extraction. Dr. Karmali was raised in Seattle. He attended the University of Washington to earn a Bachelor’s in Science in Zoology and a Doctorate of Dental Surgery. Upon graduation, he served with the United States Navy as a Dental Officer. He was stationed around the globe with the Navy and the Marines. After completing his service, he returned to the Long Beach Veterans Administration Medical Center to specialize in Endodontics. Dr. Karmali pursues the highest standards in clinical excellence through constant education. He is currently serving as the Treasurer of the International Academy of Endodontics. He lectures nationally on conservative diagnosis and treatment. He is the leader of a nationally recognized study club. Dr. Karmali's passion for professional and personal growth is focused towards helping his patients maintain their natural dentition for a lifetime. Yazmin's cheerful smile is probably the first thing you will notice when you walk through the door. Yazmin grew up in Montreal, Quebec and moved to Denver in 2006. Believe it or not, she moved to get away from the cold. Yazmin has a genuine talent for connecting with our patients and making them feel at ease. 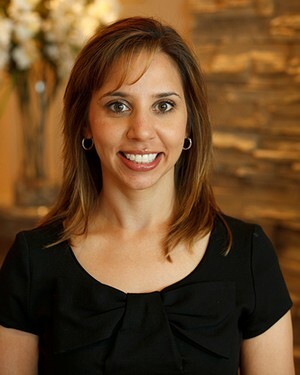 She is our Patient Care Liason and will help you with any scheduling, billing or insurance questions.